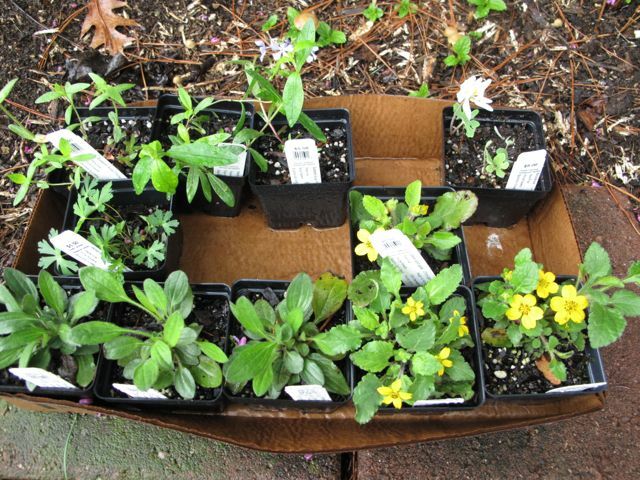 After wandering through the NC Botanical Garden yesterday, I stopped by the garden’s plant sale to select a native plant or two—but who can count when it comes to adding more plants to one’s garden? It has rained all morning and thunder is rumbling now, so these little natives will have to wait a little longer to be set into the earth. It is a good time though to make a record of the new plants, along with a few notes from the tags. Blooms April to May, Average soil, Part shade, Southeastern native perennial. These phlox are already blooming profusely at NCBG. Blooms September to October, Sun, Southeastern native perennial. Provides nectar for butterflies and seeds for birds. Native semi-evergreen ground cover, Blooms April to May, Part sun, Well-drained soil, Height 4-10 inches. Use for edging a path. I have never had success with Green and Gold, but have admired it in many places so decided to try again. 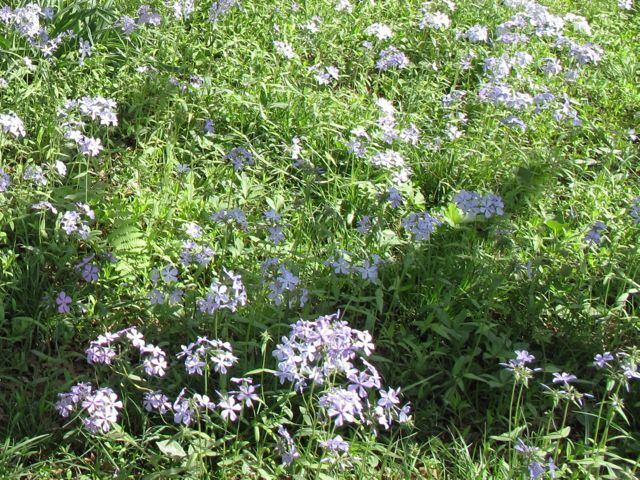 Blooms in May, Sun to part shade, Southeastern native perennial, Average to moist soil, Height 14-18 inches. 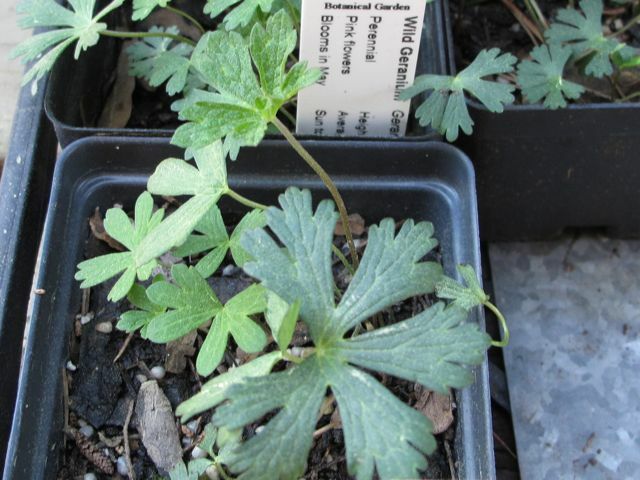 I have not had success with Wild geranium in the past either but it seems like one of those plants every garden should have. 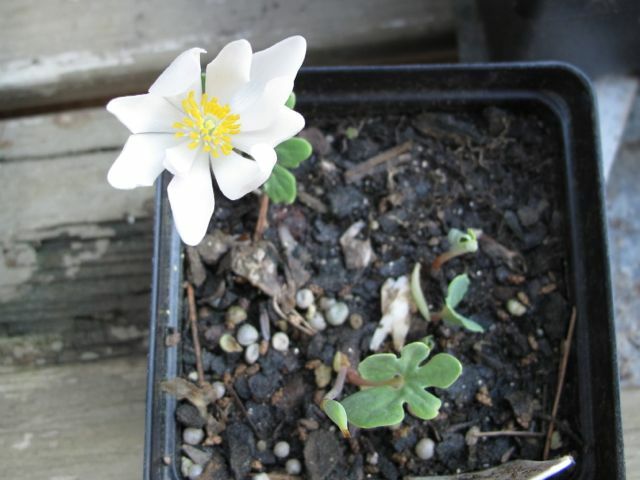 Native eastern United States, Snow-white flowers, Blooms in spring. 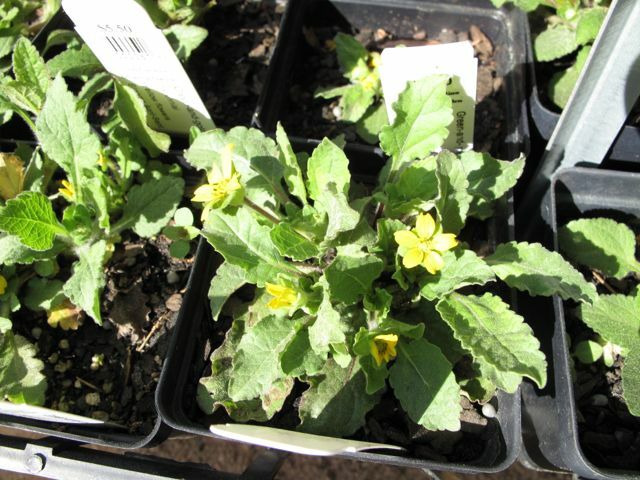 Shade, Moist soil, Height to 6 inches. Blue-green foliage persists in the landscape until mid to late summer. Plants grow slowly and take several years to reach mature size. Red sap in the underground stems is the source of the common name, Bloodroot. This entry was posted in garden and tagged Chrysogonum virginianum (Green and Gold), Geranium maculatum (Wild geranium), native plant, orange coneflower, perennials, Phlox divaricata, Rudbeckia fulgida, Sanguinaria canadensis (Bloodroot) on March 24, 2012 by pbmgarden. It’s really interesting to see what other people plant in their gardens! I don’t recognize some of these plants, so it makes me curious and I start looking things up! 🙂 Thanks! I agree and gardens are so personal. It is fun to see what plants people choose. Thank you for your comment. Interesting to see you buying native plants. At our allotment site today volunteers spent six hours planting British natives in our new meadows. Blog about it later today! I’ll look forward to learning more about British natives. 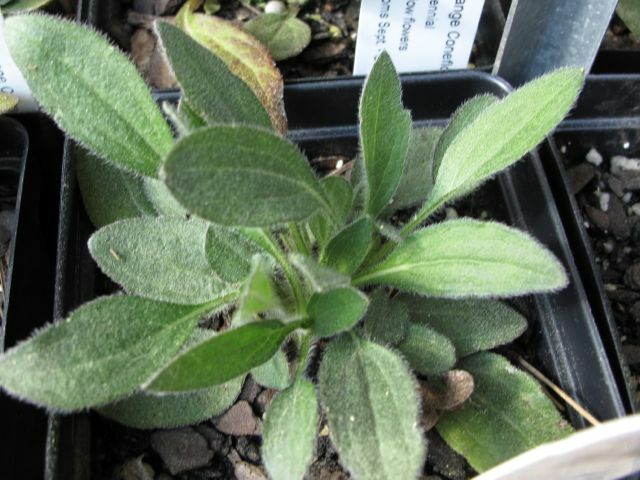 A few weeks ago I attended a lecture by a well-known horticulturalist and grower in this area who said he sells many of our interesting native plants to nurseries in Great Britain, but that they aren’t very popular here in North Carolina. I agree, there’s always space for a few more plants, especially native ones. I’m trying to learn more about invasive non-native plants. Although I still love camellias and other things that are not native, I am trying to be more careful about what I plant. Thanks very much for taking time to comment.